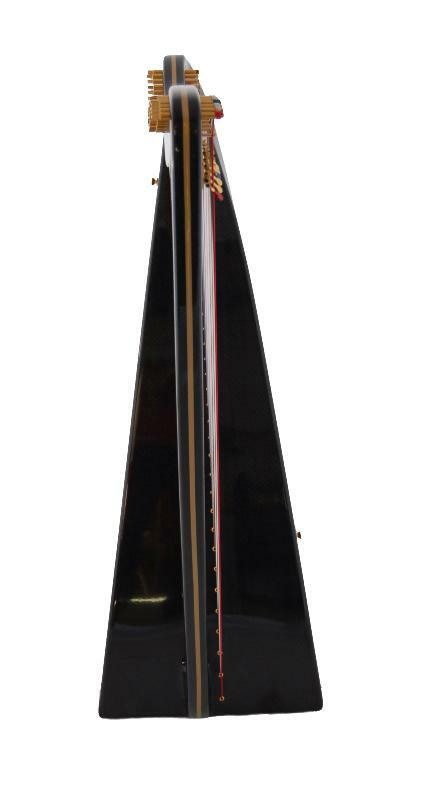 Incredible portability from a 36 string lever harp than weighs a mere 3.6kg. 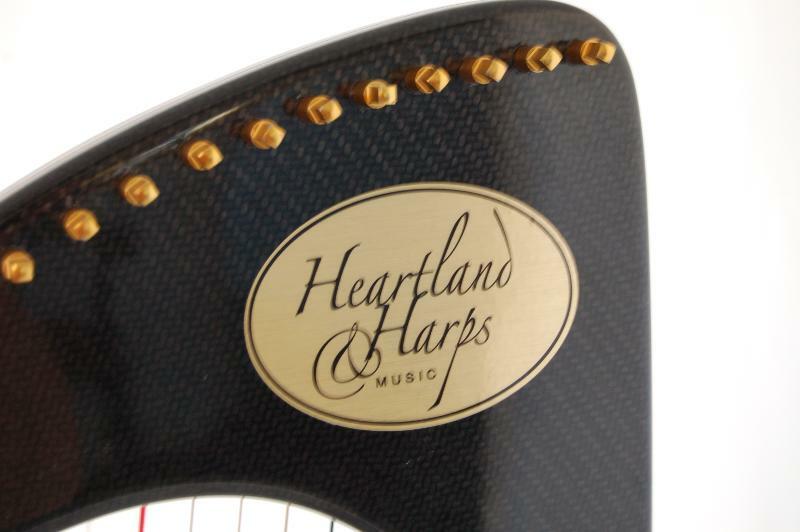 The carbon fibre Infinity 36 from North Carolina's Heartland Harps is the ultimate travellers' harp. 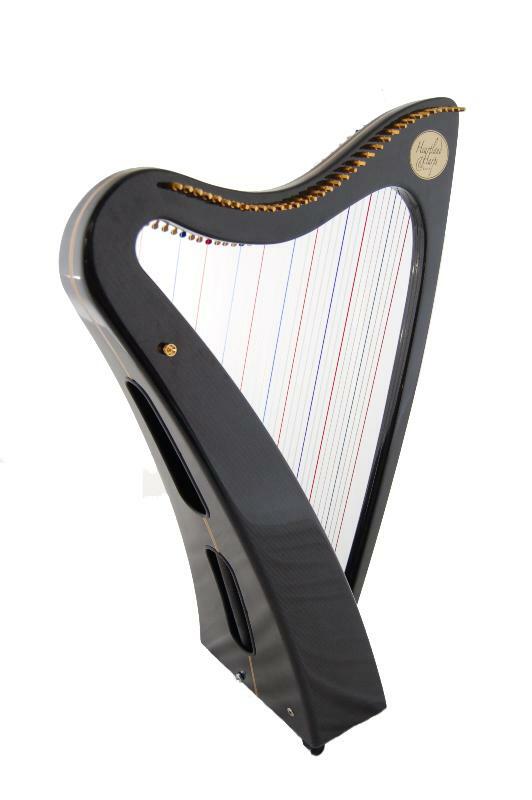 It can go wherever you go - even into situations that would destroy a standard wood harp, such as extremes of heat, cold or damp. Also, because the carbon fibre material does not shrink and swell as wood does, the Infinity holds it tune very well. The Infinity 36 is also ideal for those who need a light weight harp for health reasons. 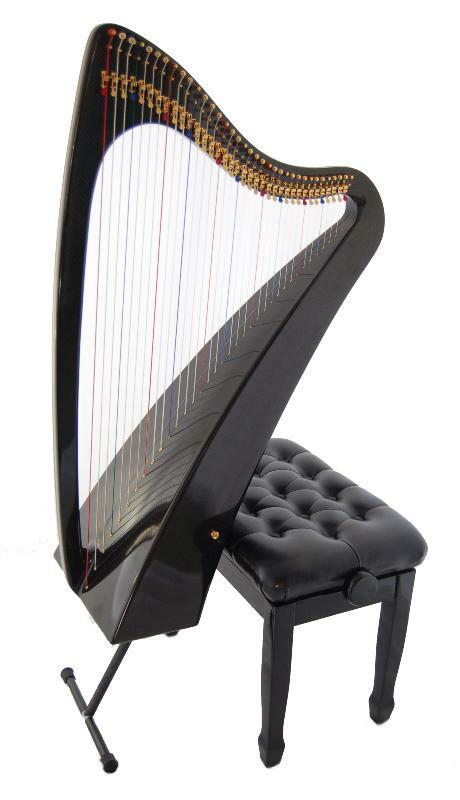 Players with bad backs or similar ailments and who struggle to play an ordinary harp can find that the Infinity 36 is light enough to be played with ease. It can even be played in bed! 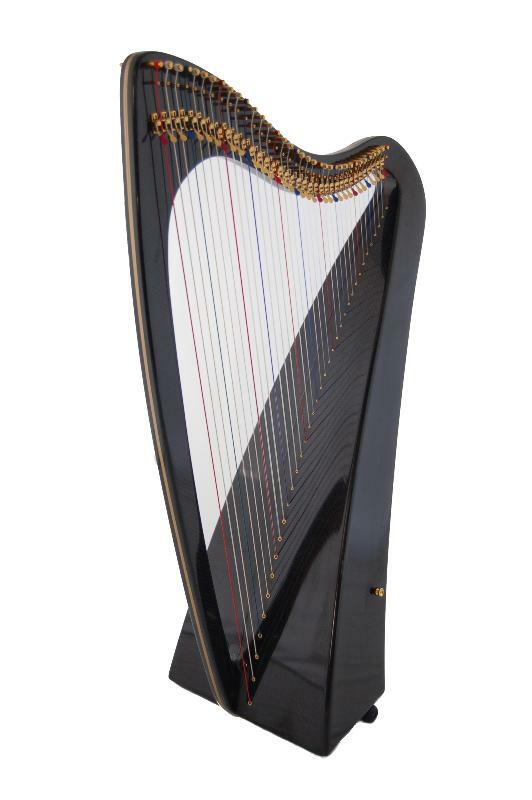 Equally, the small size and light weight means that it is possible to carry a harp with you - even if you are not so light on your feet yourself. 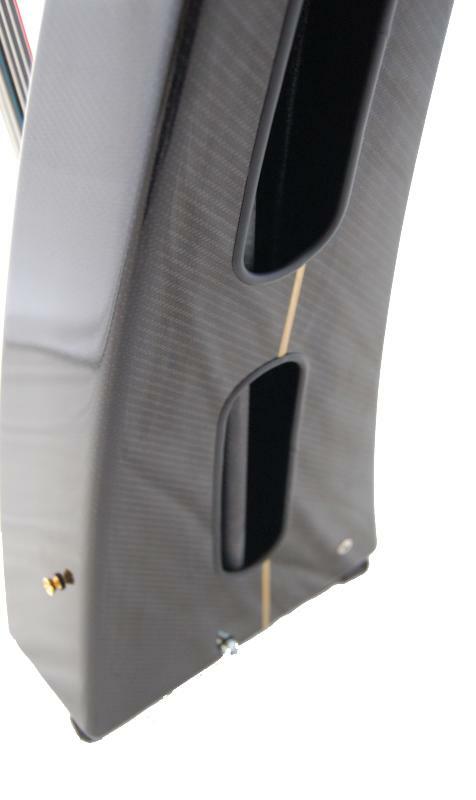 The standard Infinity 36 comes with a clear finish showing the carbon fibre fabric underneath. 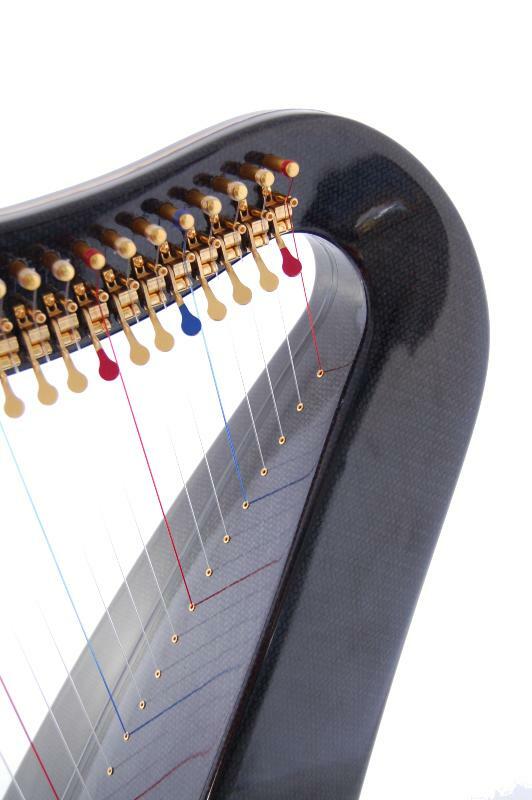 However, you can order your Infinity 36 harp in whatever colour you wish (additional cost applies). 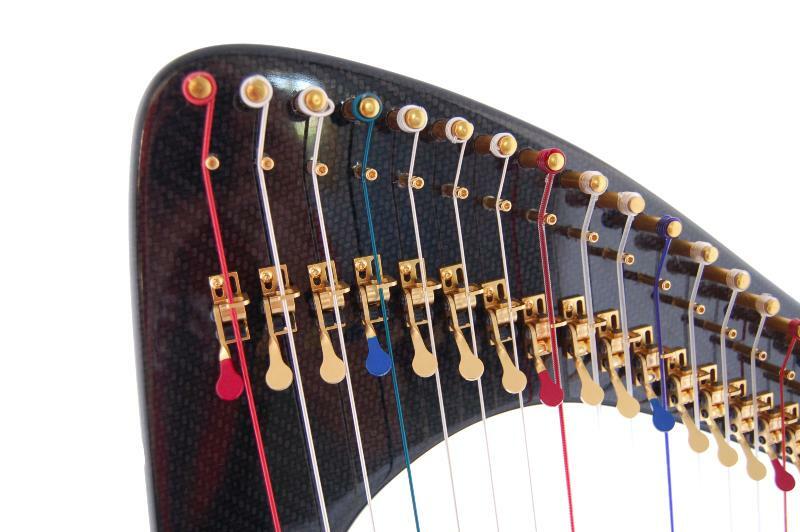 The levers, tuning pins, bridge pins and soundboard eyelets are all beautifully gold plated, adding a touch of class, and also guarding against tarnishing and rust. 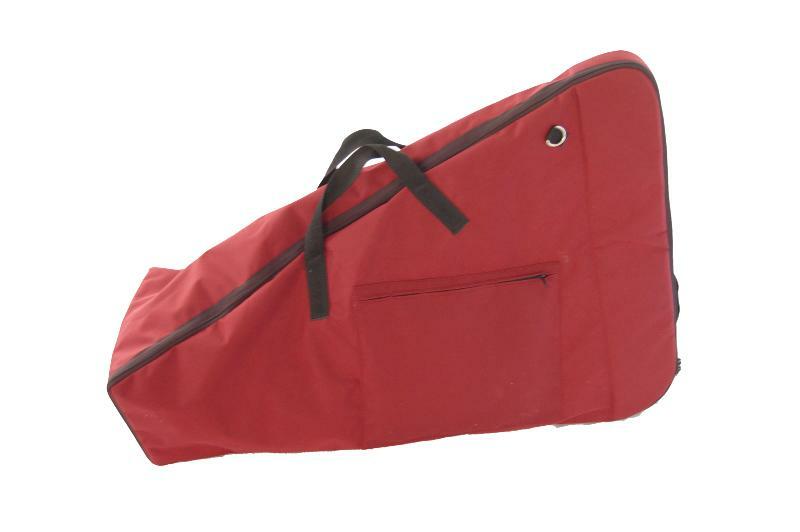 The standard Infinity 36 comes with an extendable leg, full Truitt sharping levers, gold-plated hardware, attachments for a support strap, a rubber-coated ergonomic tuning wrench and a carrying case. Fishman pick installed as standard. Your Infinity 36 will be made to order especially for you. Contact us to discuss your choice of finish and estimated lead times.